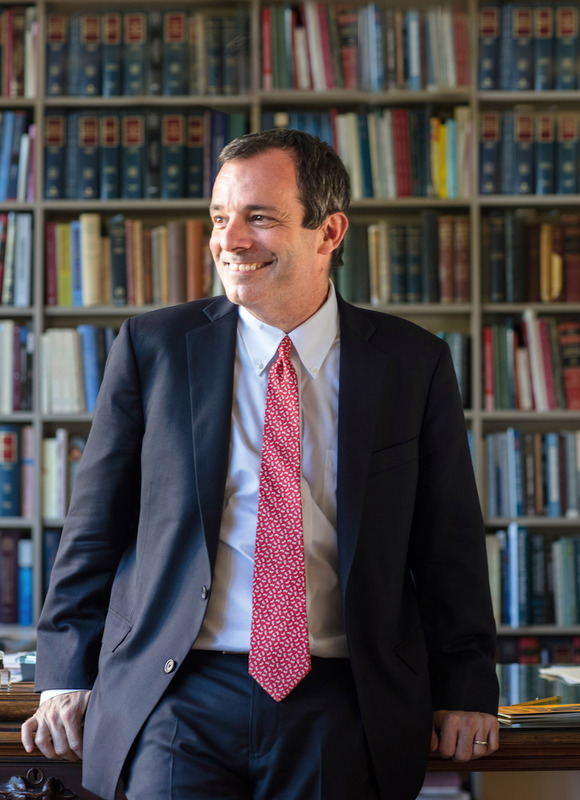 John F. Manning is the Morgan and Helen Chu Dean and Professor of Law at Harvard Law School, whose faculty he joined in 2004. He was Bruce Bromley Professor of Law from 2007–2017 and Deputy Dean from 2013–2017. Prior to coming to Harvard, Manning was the Michael I. Sovern Professor of Law at Columbia Law School, where he began teaching in 1994. Manning teaches administrative law, federal courts, legislation and regulation, separation of powers, and statutory interpretation. His writing focuses on statutory interpretation and structural constitutional law. Manning is a co-editor of Hart & Wechsler’s Federal Courts and the Federal System (6th ed., 2009) (with Richard Fallon, Daniel Meltzer, and David Shapiro), and Legislation and Regulation (2d ed., 2013) (with Matthew Stephenson). Prior to entering teaching, Manning served as an assistant to the Solicitor General in the U.S. Department of Justice (1991-94), an associate in the D.C. office of Gibson, Dunn & Crutcher (1989-91), and an attorney-advisor in the Office of Legal Counsel in the U.S. Department of Justice (1986-88). He served as a law clerk to Hon. Antonin Scalia on the Supreme Court of the United States (1988-89) and to Hon. Robert H. Bork on the U.S. Court of Appeals for the D.C. Circuit (1985-86). Manning graduated from Harvard Law School in 1985 and Harvard College in 1982. He is a member of the American Academy of Arts and Sciences. John F. Manning, The Supreme Court, 2013 Term — Foreword: The Means of Constitutional Power, 128 Harv. L. Rev. 1 (2014). John F. Manning, Separation of Powers as Ordinary Interpretation, 124 Harv. L. Rev. 1939 (2011). The Supreme Court applies the structural provisions of the Constitution by relying on an overarching framework of “separation of powers.” Its cases reflect two distinct visions of the doctrine. Functionalist decisions presuppose that Congress has plenary authority to compose the government under the Necessary and Proper Clause, subject only to the requirement that a particular governmental scheme maintain a proper overall balance of power. Formalist opinions, in contrast, assume that the constitutional structure adopts a norm of strict separation which may sharply limit presumptive congressional power to structure the government. This Article contends that, to the extent that these theories each rely on a freestanding separation of powers principle derived from the structure of the document as a whole, both contradict the idea that the Constitution is a “bundle of compromises” that interpreters must respect if they are to show fidelity to the constitution-making process. The historical record reveals that the founding generation had no single baseline against which to measure what “the separation of powers” would have required in the abstract. The U.S. Constitution, moreover, not only separates the powers of the three branches, but also blends them in order to provide mutual checks among the branches. In so doing, it strikes many different balances and expresses its purposes at many different levels of generality. When a provision carefully specifies which branch will exercise a given power and in what manner, interpreters must respect that specific compromise by prohibiting alternative means of exercising that power. Conversely, when the Constitution speaks indeterminately to a particular question, constitution-makers should not rely on abstract notions of separation of powers to displace Congress’s assigned power to compose the federal government. Rather than invoking any overarching separation of powers theory, interpreters should apply tools of ordinary textual interpretation to construe the particular clauses that make up the constitutional structure. John F. Manning, What Divides Textualists from Purposivists?, 70 Colum. L. Rev. 106 (2006). Recent scholarship has questioned whether there remains a meaningful distinction between modern textualism and purposivism. Purposivists traditionally argued that because Congress passes statutes to achieve some aim, federal judges should enforce the spirit rather than the letter of the law when the two conflict. Textualists, in contrast, have emphasized that federal judges have a constitutional duty to give effect to the duly enacted text (when clear), and not unenacted evidence of legislative purpose. They have further contended that asking how a reasonable person would understand the text is more objective than searching for a complex, multimember body’s purpose. Writing from a textualist perspective, Professor Manning suggests that the conventional grounds for textualism need refinement. Modern textualists acknowledge that statutory language has meaning only in context, and that judges must consider a range of extratextual evidence to ascertain textual meaning. Sophisticated purposivists, moreover, have posited their own “reasonable person” framework to make purposive interpretation more objective. Properly understood, textualism nonetheless remains distinctive because it gives priority to semantic context (evidence about the way a reasonable person uses words) rather than policy context (evidence about the way a reasonable person solves problems). Professor Manning contends that the textualist approach to context is justified because semantic detail alone enables legislators to set meaningful limits on agreed-upon compromises. In contrast, he argues that by authorizing judges to make statutory rules more coherent with their apparent overall purposes, purposivism makes it surpassingly difficult for legislators to define reliable boundary lines for the (often awkward) compromises struck in the legislative process. John F. Manning, Without the Pretense of Legislative Intent, 130 Harv. L. Rev. 2397 (2017). John F. Manning & Matthew Stephenson, Legislation and Regulation: Cases and Materials (Found. Press 3rd ed. 2017). John F. Manning, Justice Scalia and the Idea of Judicial Restraint, 115 Mich. L. Rev. 747 (2017)(reviewing Antonin Scalia, A Matter of Interpretation: Federal Courts and the Law (1997)). Cass R. Sunstein, Chief Justice John G. Roberts Jr., John F. Manning, Justice Elena Kagan, Justice Ruth Bader Ginsburg, Martha Minow & Rachel E. Barkow, In Memoriam: Justice Antonin Scalia, 130 Harv. L. Rev. 1 (2016). John F. Manning, Inside Congress’s Mind (Symposium in Honor of Peter L. Strauss), 115 Colum. L. Rev. 1911 (2015). In recent years, most would associate “intent skepticism” with the rise of modern textualism. In fact, however, many diverse approaches — legal realism, modern pragmatism, Dworkinian constructivism, and even Legal Process purposivism — all build on the common theme that a complex, multimember body such as Congress lacks any subjective intention about the kind of difficult issues that typically find their way into court. From that starting point, competing approaches have tended to focus on which interpretive method will promote appropriate conceptions of legislative supremacy and the role of the courts in our constitutional system. The debates, in recent years, between textualists and modern defenders of Legal Process purposivism (such as Professor Peter Strauss) nicely illustrate that emphasis. A new generation of empirical scholarship, however, has raised questions about the intent skepticism that has long framed the interpretation debate. Most prominently, Professors Abbe Gluck and Lisa Bressman conducted an extensive survey of the understandings and practices of 137 members of the congressional staff who are engaged in legislative drafting. According to the authors, the resultant findings show, inter alia, that some interpretive approaches cannot be squared with legislative intentions while others nicely reflect such intentions. Ultimately, however, this Essay concludes that the study’s findings, although illuminating, do not alter the baseline of intent skepticism against which the statutory debate has proceeded. Indeed, the very idea of legislative intent remains unintelligible without a normative framework that structures what should count as Congress’s decision. Richard H. Fallon, John F. Manning, Daniel J. Meltzer & David L. Shapiro, Hart and Wechsler's The Federal Courts and the Federal System (Found. Press 7th ed. 2015). The Seventh Edition of this classic casebook brings it thoroughly up to date (as of December 31, 2014) and includes numerous revisions to enhance its teachability. The book’s depth of coverage and intellectual rigor remain unrivaled. In addition, each chapter has been carefully revised with an eye to making the material more accessible to students. A number of new introductory and explanatory notes help to frame the key issues raised by the materials. Moreover, the editors’ judicious revision and trimming of older material will permit assignments of manageable length, without sacrificing the scholarly comprehensiveness that has always been the Hart & Wechsler hallmark. John F. Manning, Why Does Congress Vote on Some Texts But Not Others?, 51 Tulsa L. Rev. 559 (2015) (reviewing Robert Katzmann, Judging Statutes (2014)). In Robert A. Katzmann, Judging Statutes (2014), Judge Katzmann argues that because the Constitution authorizes Congress to prescribe its own procedures, judges should pay close attention to the internal nitty-gritty of the legislative process when determining what interpretive fidelity to Congress entails. In particular, he writes that, because Congress treats legislative history “as essential in understanding [statutory] meaning,” a textualist judge who refuses to consult that resource “may... undermine the constitutional understanding that Congress's statute-making should be respected as a democratic principle.” In taking this position, Judge Katzmann joins an array of scholars who want judges to take better account of the impact of congressional rules of procedure, the way legislative staffers understand drafting practices on the ground, and the role norms of legislative behavior play in shaping statutes. This new line of inquiry might be described as a “Legislative Process school,” which tries to link the meaning constructed by interpreters more tightly to the precise means by which drafters generate that meaning. The review essay raises the following question about the Legislative Process school’s position on legislative history: Namely, if legislative history is as central to the legislative process as the Legislative Process school suggests — that is, if the most important forms of legislative history (viz. committee reports) are generated by key legislators to advise other legislators of a statute's meaning, if rank-and-file members base their votes on the legislative history, and if legislative history is more probative of the legislative “deal” than is the statute itself — then why does Congress choose to vote on the dry, technical bill alone, and not on the legislative history or, indeed, on both sets of texts in tandem? Both the bill and the accompanying committee reports are texts; both are generated by the legislative process; both are available before the final vote. So what are we to make of the fact that Congress typically chooses to vote on the bill alone? That question is sharpened, moreover, by Congress's continued failure to put legislative history to a vote three decades into a textualist campaign that has put legislative history on uncertain footing in the federal courts. Absent a convincing answer, one might wonder whether pivotal legislators think it unlikely that they could pass the full complement of legislative history — or even high value items such as committee reports — if they put those materials to a vote instead of, or even alongside, the text. John F. Manning, Chevron and the Reasonable Legislator, 128 Harv. L. Rev. 457 (2014). This Essay uses the Court's shifting doctrines of judicial deference to agency interpretations of law to examine larger questions about the Legal Process approach to interpretation. Since the New Deal, the Court has adopted several distinctive deference regimes. First, the Hearst-Packard framework predicated the availability of judicial deference on a nonexclusive, multifactor test that asked, in effect, when it made sense, under all of the circumstances, to assume that Congress would want a court to defer. Second, the Chevron doctrine adopted a more categorical approach that instructed courts generally to defer to an agency's "reasonable" interpretation of a statute the agency administered. Third, the Mead doctrine, which is the Court's current approach, takes the intermediate position. Mead gives Chevron deference to agency interpretations announced through notice-and-comment rulemaking or formal adjudication. However, Mead also leaves open the possibility that other, unspecified factors might disclose a legislative intention to delegate interpretive lawmaking power to an agency outside those safe harbors. This Essay argues that all of these seemingly diverse approaches reflect a common foundation. They all grow out of the methodology of Legal Process School, which directs judges (a) to presume that legislature consists of "reasonable persons pursuing reasonable purposes reasonably" and (b) to read statutes accordingly. In determining appropriate deference frameworks, the Justices have almost never looked into the original meaning (if any) of the judicial review provisions of the Administrative Procedure Act (APA). Nor have they explored the background legal expectations (if any) against which those provisions were enacted. Rather, virtually every Justice to address the question has asked, in effect, what deference framework a hypothetical reasonable legislator might prefer. Whatever else, this phenomenon tells us that Legal Process reasoning continues to exert a hold on the broader legal imagination—even, on occasion, that of the Court's textualists. John F. Manning, Chevron and Legislative History, 82 Geo. Wash. L. Rev. 1517 (2014). The Court's decision in Chevron U.S.A. Inc. v. Natural Resources Defense Council, Inc. presupposes that when Congress leaves indeterminacy in an organic act, that indeterminacy reflects an implicit delegation of power to the agency to fill in the details of statutory meaning. Accordingly, a reviewing court must accept the agency's interpretation if reasonable. At its threshold the Chevron test requires the reviewing court to use the "traditional tools of statutory construction" to determine if Congress expressed a clear intention concerning the interpretive question or, by virtue of indeterminacy, left the question for agency resolution. In the era in which it decided Chevron, the Court felt free to use legislative history to help determine whether Congress had directly spoken to the question at issue in the case. In the years since Chevron, the Court's understanding of the "traditional tools" of statutory interpretation has changed. Contrary to its practice at the time of Chevron, the Court has made it flatly impermissible for interpreters to rely on legislative history in a way that contradicts the text of the statute. This Article argues that the Court's new approach to legislative history precludes the Court's use of that tool of construction to resolve indeterminacy under the Chevron doctrine. If as Chevron suggests, an administrative statute's indeterminacy presumptively reflects a legislative intention to delegate broad policy-making discretion to the responsible agency, then the reviewing court's use of legislative history to narrow that discretion contradicts the implemental design of the statute by narrowing the delegation effectuated by the text. John F. Manning, Justice Ginsburg and the New Legal Process, 127 Harv. L. Rev. 455 (2013). Richard H. Fallon, John F. Manning, Daniel J. Meltzer & David L. Shapiro, Hart and Wechsler's the Federal Courts and the Federal System 6th, 2013 Supplement (Found. Press 6th ed. 2010). This supplement brings the main casebook up to date with recent developments in the law. John F. Manning & Matthew Stephenson, Legislation and Regulation: Cases and Materials (Found. Press 2nd ed. 2013). The Honorable Antonin Scalia & John F. Manning, A Dialogue on Statutory and Constitutional Interpretation, 80 Geo. Wash. L. Rev. 1610 (2012). This dialogue addresses oft-discussed questions of statutory and constitutional interpretation. The topics include the reasons for treating statutory text as determinative, the arguments for not treating legislative history as authoritative evidence of statutory meaning or legislative intent, the permissibility of excising absurd results and/or scrivener’s errors from a statute’s scope, the proper method of interpreting often-technical legal texts, and the differences between statutory and constitutional interpretation (with emphasis on the proper role for The Federalist in constitutional adjudication). John F. Manning, The Role of the Philadelphia Convention in Constitutional Adjudication, 80 Geo. Wash. L. Rev. 1753 (2012). Max Farrand's Records of the Federal Convention of 1787 shed light on the intricacies of the debates of the framers over the text of the Constitution. They do not, however, provide authoritative evidence of constitutional meaning. The Philadelphia Convention, after all, was conducted in secret, and the ratifiers, operating in thirteen distinct conventions in culturally and politically diverse states, had no access to its notes. Attempts to glean original intent or meaning from the Records face even greater challenges than attempts to discern a single, collective legislative intent from pieces of legislative history. Yet the Records are not entirely without value in constitutional interpretation. This Article suggests that Farrand's Records serve to confirm something fundamental about the nature of the original Constitution itself-that its text is the product of a hardscrabble compromise, rather than a statesmanlike articulation of broad principle. In contrast with the "living Constitution" theory that the Court has, at times, endorsed, the Records demonstrate that the Constitution's details are not mere placeholders for broader principles; they reflect bargained-for policy decisions. Accordingly, any theory of interpretation that treats textual detail as a marker for broader principle violates the terms of the bargain upon which the framers ― who were a veto gate in the process ― allowed the document to go forward. John F. Manning, The Necessary and Proper Clause and Its Legal Antecedents, 92 B.U. L. Rev. 1349 (2012) (book review). This essay reviews The Origins of the Necessary and Proper Clause — a book by Gary Lawson, Geoffrey P. Miller, Robert G. Natelson, and Guy I. Seidman. In the book the authors contest the conventional wisdom that there is no firm historical basis for understanding the Necessary and Proper Clause. Professor Natelson contends that the clause picked up incidental powers principles of agency law, including a general requirement of reasonableness and more detailed fiduciary duties of impartiality, good faith, and due care. Professors Lawson and Seidman trace the Necessary and Proper Clause to traditions of English administrative law that imposed “reasonableness” requirements on official decision-makers. Finally, Professor Miller reads the clause in light of analogous language in eighteenth-century corporate charters that reflected a reasonably close means-ends requirement and an anti-discrimination principle. Rather than try to draw any definite conclusions about the meaning of the Necessary and Proper Clause, the essay examines, more generally, how to make sense of the nitty-gritty details of the private or public law backgrounds of an important constitutional clause. First, starting from the premise that interpreters should ask what legal conventions a “reasonable” lawmaker might be expected to know, the essay explains why we might care about the private or public law backdrops to the clause even if we have no proof that any of those frameworks subjectively influenced a constitutionally sufficient majority of ratifiers. Second, the essay differentiates, for interpretative purposes, between adopting a term of art and merely borrowing an off-the-rack legal construct from a particular legal context. When drafters borrow a widely used legal construct (such as an incidental powers clause), it may not make sense to import all of its associated obligations into a new and different area of law, especially when the same type of construct is common to many diverse legal frameworks. Third, the essay suggests a way for thinking about the burden of persuasion when legal scholars uncover lost constitutional meanings, as the book does. John F. Manning, The New Purposivism, 2011 Sup. Ct. Rev. 113 (2012). Throughout most of the twentieth century, the Court subscribed to the traditional purposivist framework of Holy Trinity Church v United States, which held that Congress enacts statutes to achieve certain purposes, and that judges may reshape statutory language to fulfill those purposes. On that view, the “letter” of the law had to yield to its “spirit” or purpose. The Court, however, has not cited Holy Trinity positively for more than two decades. Rather than sacrificing letter for spirit, the Court has become increasingly inclined to adhere strictly to a clear statutory text, even when doing so produces results that fit poorly with the apparent purposes that inspired the enactment. Conventional wisdom ascribes this development to the rise of textualism. And the Court's leading textualists — Justices Scalia and Thomas — took the lead in pressing the claim that an enacted text must take priority over its unenacted purposes. Of interest here, however, the Court’s nontextualist Justices have also increasingly subscribed to the idea that judges must enforce text over purpose. This article examines why Justices who came out of the purposivist tradition might have gone along with rejecting Holy Trinity. In particular, the paper suggests that the Court's current approach may reflect a new understanding of what purposive interpretation properly entails. The new approach may assimilate a growing sense that the law's “purpose,” properly understood, embodies not merely a statute's substantive ends (its “ulterior purposes”), but also Congress's specific choices about the means to carry those ends into effect (its “implemental purposes”). On this account, purposive interpretation takes seriously the implemental signals that Congress sends through the level of generality reflected in its choice of words. A precise and specific command (“no dogs”) signals an implemental purpose to leave relatively little discretion to the interpreter. An open-ended and general command (“no disruptive animals”) signals the opposite. This article suggests that this “new purposivism” — one that accounts for implemental as well as ulterior purposes — may explain recent shifts in statutory methodology and the broad acceptance of those shifts by almost all of the Justices. John F. Manning, Second-Generation Textualism, 98 Calif. L. Rev. 1287 (2010). This essay argues that modern textualism developed in two phases. First-generation textualism was rooted in the skeptical premises of public choice theory. Early textualism, for example, stressed that legislative history does not reliably represent the views of the median voter and that reliance on legislative history risks giving excessive weight to the preferences of concentrated interest groups. First-generation textualism also argued, more generally, that the legislative process is too chaotic, too path dependent, and too fraught with strategic behavior to yield a meaningful “legislative intent” on any significant interpretive question. Although rooted in a fairly negative view of the legislative process, these claims had a lot of intuitive “pop.” After the publication of a number of broad critiques of the empirical basis for public choice theory, a second-generation textualism emerged. Second-generation textualism argues that lawmaking inevitably involves compromise; that compromise sometimes requires splitting the difference; and that courts risk upsetting a complex bargain among legislative stakeholders if judges rewrite a clear but messy statute to make it more congruent with some asserted background purpose. Simply put, when a statute speaks unambiguously, judges presume that Congress chose its words for a reason; to assume otherwise would be to undercut Congress's ability to use semantic meaning to express and record its agreed-upon outcomes. This essay argues that second-generation textualism offers a more affirmative and more appealing basis for textualism. Rather than stressing skeptical empirical claims about the (un)reliability of legislative history and the chaos of the legislative process, second-generation textualism features more conceptual claims about the crucial role that legislative compromise plays in our constitutional system. Perhaps in part because this approach does not depend as much upon negative assumptions about interest group manipulation or legislative chaos, it has gained far more traction with the Court as a whole than did first-generation textualism. John F. Manning, Clear Statement Rules and the Constitution, 110 Colum. L. Rev. 399 (2010). In recent years, the Supreme Court has increasingly supplemented traditional Marbury-style judicial review with constitutionally inspired clear statement rules. These canons of statutory construction have two characteristics. First, they impose a clarity tax on Congress by insisting that Congress legislate exceptionally clearly when it wishes to achieve a statutory outcome that threatens to intrude upon some judicially identified constitutional value-such as federalism, nonretroactivity, or the rule of law. Second, as the Court has acknowledged, clear statement rules apply even though the outcomes avoided by such rules would not themselves violate the Constitution. For example, although the Court has held that the Ex Post Facto Clause prohibits retroactivity only in the criminal context, the Court has also culled from that clause (among others) a more general value that it uses to justify a nonretroactivity clear statement rule for civil cases. This Essay argues that such clear statement rules rest on the mistaken premise that the Constitution contains freestanding values that can be meaningfully identified and enforced apart from the specific terms of the clauses from which the Court derives them. In fact, the Constitution represents a "bundle of compromises" that embody not merely abstract ends or values, but also particular means that limit and define the scope and the content of those values. If the Ex Post Facto Clause prohibits retroactivity in the criminal context, it violates the terms of the implementing bargain to extend its animating value to civil contexts. This concern-that clear statement rules impermissibly abstract from concrete constitutional means to general constitutional ends-applies, moreover, even if one believes that most constitutional law is now properly found in judge-made implementing doctrine. Such doctrine itself often defines relatively precise means of enforcing the Constitution, not merely the vague constitutional ends that so often animate clear statement rules. John F. Manning & Matthew C. Stephenson, Legislation and Regulation: Cases and Materials (Foundation Press, 2010). This casebook is specifically designed for a first-year class on Legislation Regulation, and provides a proven, ready-to-use set of materials for schools or instructors interested in introducing such a class to their 1L curriculum. John F. Manning, Federalism and the Generality Problem in Constitutional Interpretation, 122 Harv. L. Rev. 2003 (2009). In recent years, the Supreme Court has embraced a freestanding federalism that is not tied to any particular clause of the Constitution. Rather, because multiple clauses assume the continued existence of states and set up a government of limited and enumerated powers, the Court has inferred that such provisions collectively convey a purpose to establish federalism and to preserve a significant degree of state sovereignty. The Court has treated that general background purpose as a warrant to derive specific but unenumerated limitations on federal power – in particular, a federalism clear statement rule, an anticommandeering principle, and broad state sovereign immunity from suit in state courts. This Article argues that the interpretive methodology underlying the new federalism cases cannot readily be squared with the process insights clearly articulated by the Court in its recent statutory interpretation cases, which endorse the related propositions that lawmaking entails compromise, that enacted texts select means as well as ends, and that abstracting from a law’s specific means to its general aims dishonors the level of generality at which lawmakers choose to legislate. Despite evident differences between statutes and the Constitution, this Article maintains that where, as in the new federalism cases, the Court purports to attribute its holdings to decisions made by the founders pursuant to the processes prescribed by Articles V or VII, its interpretive approach should proceed from the premise that constitutionmaking involves process considerations analogous to those that characterize legislation. Constitutionmaking entails disagreement and compromise by stakeholders who have the right to insist upon compromise as the price of their assent. Moreover, the U.S. Constitution itself represents “a bundle of compromises” and, in the particular area of interest here, quite elaborately spells out the means by which power is to be divided between the federal and state governments. Indeed, emphasizing that federalism was an innovation of our Constitution, this Article maintains that the specific means chosen to implement our form of concurrent sovereignty in fact define the concept of federalism and that, contrary to the Court’s recent cases, there is no freestanding federalism. John F. Manning, Lessons From a Nondelegation Canon, 83 Notre Dame L. Rev. 1541 (2008). In recent years, the idea of “nondelegation canons” has gained currency in public law. The phrase nicely captures the aspiration that courts can use interpretive presumptions or clear statement rules—such as the federalism canons, the norm against retroactivity, and the presumption against extraterritoriality—to implement constitutional and other substantive or systemic values. The basic idea is that such canons allow effective enforcement of underenforced constitutional values by insisting that Congress speak clearly when it wishes to invade the specified values. In that way, such canons function very much like a nondelegation doctrine, forcing Congress to make its disfavored policies express in the statute. One of the asserted advantages of nondelegation canons is that they force Congress to take responsibility for important policy decisions without the judicial administrability problems that have dissuaded the Court from enforcing the nondelegation doctrine through judicial review. In conventional nondelegation cases, the Court has expressed anxiety about its own competence to judge when a statute is so vague or open-ended that it impermissibly transfers legislative power to an agency or court. With nondelegation canons, however, the Court feels comfortable simply giving the benefit of the doubt to interpretations that do not invade favored values. Using the presumption against preemption as an example, this Essay argues that nondelegation canons, in fact, present the same line-drawing problems as the traditional nondelegation doctrine. All such canons require courts to identify when an interpretive decision is properly attributed to a statute passed by Congress rather than to policymaking discretion exercised by an agency or court. Because all statutes embody some degree of ambiguity, deciding when a statute is clear enough to warrant such attribution involves the same kind of question of degree that makes the Court wary of the nondelegation doctrine as such. John F. Manning, Statutory Pragmatism and Constitutional Structure, 120 Harv. L. Rev. 1161 (2007). This essay examines two jurisprudential styles in Judge Posner’s statutory interpretation opinions. Both approaches invite judicial flexibility. The first, which reflects an earlier stage in Judge Posner’s career, justifies interpretive flexibility by defending a process of “imaginative reconstruction.” On that view, because a busy and error-prone Congress will not always capture its purposes in the words it chooses, the court should try to figure out what Congress would have wanted to accomplish in the circumstances before the court. The second, and more recent, framework is more openly pragmatic. On that view, Judge Posner justifies interpretive flexibility on the ground that judges properly “enrich positive law with the moral values and practical concerns of civilized society.” To simplify, the first approach treats interpretive flexibility as a better way of decoding Congress’s instructions; the second treats it as a proper exercise of judicial power. While reiterating a preference for textualism, the essay argues that, between the two approaches outlined by Judge Posner, his newer, more pragmatic justification gives a more accurate account of what is truly going on in the courts and is more sensitive to the underlying institutional considerations that necessarily inform rules of interpretation. John F. Manning, Lawmaking Made Easy, 10 Green Bag 2d 191 (2007). This essay addresses one justification for the familiar argument that judges should robustly construe statutes to accommodate unforeseen or otherwise unprovided-for factual, moral, and legal contexts — even if doing so cannot be squared with the statutes' original meaning. On one account, legislative supremacy is affirmatively promoted by such countertextual judicial policy-making because Members of Congress prefer for judges to assume some of the responsibility for “hard policy questions.” And if judges practice a dynamic approach to interpretation, Congress can accomplish more of its objectives in the public interest. If that is what Congress wants, then a faithful agent should presumably adopt interpretive techniques that advance that objective. This argument has found a home in many areas of public law, including discussions of the non-delegation doctrine, federal common law, and the use of legislative history in statutory interpretation. Although this essay takes no position on the merits of those underlying practices, it seeks to highlight a culture of argument that presupposes that, where lawmaking is concerned, more is better. The essay contends that the more-is-better position contradicts a central premise of our constitutional structure — the view, expressed in Article I’s bicameralism-and-presentment requirements, that it should be difficult to pass legislation without a broad political consensus behind its enactment. John F. Manning, Competing Presumptions About Statutory Coherence, 74 Fordham L. Rev. 2009 (2006). The tradition of strong purposivism assumes that legislation is a purposive act and that judges should interpret acts of Congress to implement the legislative purpose, even if doing so requires some deviation from the clear meaning of the enacted text. The basis for his position is that limited human foresight, imprecision in language, and constraints on legislative resources make it likely that a generally worded statute will not accurately capture legislative purposes or intentions across the varied of situations that lie ahead. Hence, if a statute's semantic detail produces an outcome that appears unreasonable in light of the law's background purpose, purposivists believe that respect for Congress requires fidelity to purpose rather than to the often-faulty wording of whatever text Congress happened to adopt. In contrast, textualism gives precedence to a statute's semantic meaning, when clear, and eschews reliance on legislative history or other indicia of background purpose to vary the conventional meaning of the text. Textualists believe that the legislative process favors compromise and that compromises are often complex, awkward, and even incoherent—making it dangerous for judges to smooth over the details of an agreed-upon text to make it more coherent with its perceived purpose. On that view, respect for Congress means accepting the meaning (when clear) of whatever text cleared the legislative process. This essay argues that purposivists assume that Congress thinks coherently but writes messily while textualists assume that Congress writes coherently but legislates messily. After considering each position in its most sympathetic light, the essay suggests that the textualists' presumption of untidy compromise fits more comfortably with legislative process assumptions derived from the constitutional structure. Both the Article I processes of bicameralism and presentment and the rules of procedure adopted by each House are designed, on balance, to make it hard to adopt statutes and easy for political minorities or outliers to insist upon compromise as the price of assent. By emphasizing the possibility that awkward statutory language may reflect an awkward but unseen legislative compromise, textualists seek to make it easier for Members of Congress to articulate and make stick potential compromises. John F. Manning, Justice Scalia and the Legislative Process, 62 N.Y.U. Ann. Surv. Am. L. 33 (2006). For two generations, the Legal Process school of interpretation supplied the dominant framework for understanding statutory interpretation. At the most basic level, those materials instructed judges (a) to assume that the legislature consisted of “reasonable persons pursuing reasonable purposes reasonably” and (b) to interpret statutes accordingly. This essay examines ways in which Justice Scalia challenged this consensus. In particular, Justice Scalia emphasized that all legislation is as filtered through the complex processes that our Constitution prescribes for reducing policy impulses into binding law. Those processes consist of the steep requirements of bicameralism and presentment and the various rules of procedure that each House has adopted pursuant to its Article I authority to do so. According to Justice Scalia, those procedures deliberately make it difficult to enact legislation. This feature, in turn, accords to political minorities extraordinary power to block legislation or insist upon compromise as the price of assent. Sometimes the resulting compromises will be awkward because proponents of legislation must accept half a loaf. Hence, said Justice Scalia, to assume that laws are reasonable and coherent (as the Legal Process school did) is to deny the realities of the legislative process and to give short shrift to the very possibility of legislative compromise. John F. Manning, Textualism and Legislative Intent, 91 Va. L. Rev. 419 (2005). This essay examines the contention that, contrary to standard textualist rhetoric of intent skepticism, textualists do care about legislative intent. This essay argues that the validity of that contention, as pressed by Professor Caleb Nelson, depends on the sense in which one describes legislative intent. In any system predicated on legislative supremacy, a faithful agent will of course seek the legislature's intended meaning at some level, and modern textualists situate themselves in that tradition. However, contrary to traditional intentionalists, leading textualists do not believe that the legislative majority as a whole possesses a subjective intention about the words it adopts. Indeed, to suggest that textualists practice intentionalism by other means is to understate their central belief that the cumbersome, chaotic, path-dependent, and opaque legislative process precludes identification of any “actual” or “genuine” legislative intent. Instead, textualists seek an “objectified intent” — the import that a reasonable person conversant with applicable social and linguistic conventions would attach to the enacted words. This essay also challenges Professor Nelson’s further claim that textualism is best explained by a preference for rules over standards. Although textualists may generally prefer rules to standards, this essay suggests that the key to understanding textualism is not such a preference. Rather, it argues that textualism, properly understood, rests on a straightforward conviction that faithful agents must treat rules as rules and standards as standards. Otherwise, legislators will have a difficult time expressing their compromises through the level of generality at which they articulate their policies. John F. Manning, Continuity and the Legislative Design, 79 Notre Dame L. Rev. 1863 (2004). In analyzing the revival of canons in statutory interpretation, Professor David Shapiro has argued that many of the Court’s most prominent canons—including expressio unius, ejusdem generis, the rule of lenity, canon requiring narrow construction of statutes in derogation of the common law, and the federalism canon—all reflect a bias against finding a statutory change in the status quo. These canons, he argues, promote a range of substantive and process values. They also reflect the reality that, in legislation, “change is news but continuity is not.” This paper argues that if the canons do, in fact, tend toward continuity, that tendency captures an important feature of the legislative process, at least at the federal level. Under the U.S. Constitution, lawmaking is cumbersome. It is that way by design. Bicameralism and presentment emphasize caution, consensus, and deliberation. In so doing, the federal legislative process privileges continuity over change. Even if that pro-continuity bias does not ultimately present a sufficient reason for embracing or retaining any given canon of construction, it surely presents a powerful answer to those who would abandon traditional rules of construction because they reflect a status quo bias. John F. Manning, Nonlegislative Rules, 72 Geo. Wash. L. Rev. 893 (2004). When an agency wishes to promulgate a rule, the default position under the Administrative Procedure Act (“APA”) requires public notice, an opportunity for comment, and the issuance of a “concise and general statement of basis and purpose.” The resulting documents are called “legislative rules” because they bind with the force of statutes. The APA, however, exempts “interpretative rules” and “general statements of policy” from notice-and-comment requirements. Those “nonlegislative rules” tend to grow out of relatively informal, often staff-centered policymaking processes to issue circulars, advice letters, guidance documents, staff manuals, and the like. Although such documents serve useful purposes of notice-giving and agency self-restraint, they also risk allowing agencies to make an end run around more formal notice-and-comment procedures. Accordingly, courts have distinguished the functions that legislative and nonlegislative rules may properly perform in the implementation of an administrative program. In particular, leading lower court cases suggest that an agency may not engage in legally binding policy making without invoking notice-and-comment procedures. On the one hand, an agency can engage in policymaking by issuing “general statements of policy,” but it cannot thereby bind itself or the public. On the other hand, an agency may issue a binding “interpretative rule,” but only if it can justify that rule as a mere interpretation of an antecedent statute or legislative rule as opposed to an act of independent policymaking. This article argues that these tests do not rest on judicially manageable standards. Because the line between interpretation and policymaking grows thin at the margins, the test for a valid interpretative rule almost surely reduces to a judgment that the rule does not reflect excessive policymaking discretion. That line-drawing problem presents judicial competence questions that are very similar to the ones that have provoked the Court to forbear from robust boundary policing in areas such as the nondelegation and the Chenery doctrines. After exploring the judicial administrability problems with the existing tests, the article considers alternative approaches to differentiating legislative from nonlegislative rules. John F. Manning, The Eleventh Amendment and the Reading of Precise Constitutional Texts, 113 Yale L.J. 1663 (2004). In recent years, the Supreme Court has frequently observed that most statutes involve compromise. In particular, when Congress enacts a clear and precise statutory text--one that articulates not only a set of relevant aims but also the specific means of their pursuit--the Court has assumed that the operative details of such a statute may reflect a (frequently unrecorded) compromise to go so far and no farther in pursuit of its background goals. Accordingly, even when a precise statute seems over- or underinclusive in relation to its ultimate aims (as is often the case), the Court now hews closely to the rules embedded in the enacted text, rather than adjusting that text to make it more consistent with its apparent purposes. One might think that similar principles would apply with equal, if not greater, force to constitutional interpretation. The constitutional lawmaking processes prescribed by Articles V and VII reflect a conscious design to give political (or at least geographical) minorities extraordinary power to block constitutional change. Such political minorities, therefore, also have extraordinary power to insist upon compromise as the price of assent. Although constitutional scholarship tends to emphasize those constitutional texts that are framed in open-ended terms, many of the document's clauses--including some rather important ones--articulate their policies at a level of detail that suggests compromise over the acceptable means of pursuing such clauses' apparent background aims. In this Article, I argue that, just as in the case of statutes, when the Court confronts a precise and detailed constitutional text, it should adhere closely to the prescribed solution rather than stretch or contract the text in light of the apparent ratio legis. Indeed, the heightened protection assigned to minority interests in the amendment process may make it especially crucial for a court to adhere to the compromises embedded in a precise constitutional text. John F. Manning, The Absurdity Doctrine, 116 Harv. L. Rev. 2387 (2003). From the earliest days of the Republic, the Supreme Court has subscribed to the idea that judges may deviate from even the clearest statutory texts when a given application would produce otherwise absurd results. This approach has been an important safety valve in the Court’s case law even during its most textualist phases. The absurdity doctrine is predicated on the idea that Congress enacts legislation against the constraints of limited foresight, resources, and time, and that general language will sometimes produce unanticipated results. The doctrine then assumes that when a statute’s plain meaning produces a result that is contrary to society’s widely shared values, the result must have been unanticipated — something Congress would not have “intended” had it considered the question explicitly. Under that assumption, the Court has been able to avoid apparent statutory oddities without perceiving itself to have violated the constitutional premises of legislative supremacy. This article contends that the insights of modern textualism and public choice theory make that assumption harder to sustain. The legislative process is untidy, and the particular wording of a statute may have been, for unknowable reasons, essential to its passage. Thus, rather than identifying legislative intent, the Court’s invocation of “absurd results” to disturb a clear statutory text, in fact, risks displacing whatever bargain legislators actually reached through the complex and path-dependent legislative process. Moreover, treating the absurdity doctrine, in the alternative, as a normatively justified element of the federal judiciary's law-declaration power not only violates important assumptions underlying our constitutional structure, but also creates an unexplained incongruity between the constitutional assumptions applied in the Court's statutory cases and those applied in constitutional cases involving rationality review. After developing its critique of the absurdity doctrine, the article then considers alternative interpretive doctrines that have enabled the Court to avoid some but not all statutory absurdities. John F. Manning, Deriving Rules of Statutory Interpretation from the Constitution, 101 Colum. L. Rev. 1648 (2001). An early article by the author argued that the original understanding of the constitutional structure fits more tightly with the now settled faithful agent theory than with the background English tradition of equitable interpretation. Professor William N. Eskridge, Jr. replied that the founding debates and early state and federal cases support various atextual practices that derive from the English tradition. This reply contends that much of this disagreement is attributable to methodological differences. First, focusing on the classification of various interpretive norms, the reply argues that many early practices cited by Professor Eskridge are consistent with the faithful agent theory and textualism, properly understood. Second, the reply questions the probativeness of state cases in assessing the original understanding of federal judicial power. Third, it argues that scattered and often oblique remarks in the founding debates should carry little weight. Fourth, examining the way early Americans implemented the federal judicial power, the reply stresses that the Marshall Court established an explicit and lasting commitment to what we now call the faithful agent theory. John F. Manning, Textualism and the Equity of the Statute, 101 Colum. L. Rev. 1 (2001). Recent scholarship has sought to challenge textualist interpretive methods by reviving the ancient English doctrine of the equity of the statute-a doctrine that treated atexual, purposive interpretation as an inherent attribute of judicial authority. In particular, modern proponents contend that this common law doctrine, rather than the currently prevailing faithful agent theory, more accurately reflects the original understanding of "the judicial Power of the United States." In this Article, Professor Manning argues that the English equity of the statute doctrine failed to survive the structural innovations that differentiated the U.S. Constitution from its English common law ancestry. He further contends that while early American history is somewhat mixed, the faithful agent theory came to be the dominant federal interpretive theory quite early in the republic. Finally, Professor Manning argues that, contrary to the critics of textualism, current rejection of the equity of the statute will not lead to rigid and literal interpretive methods. John F. Manning, Putting Legislative History to a Vote: A Response to Professor Siegel, 53 Vand. L. Rev. 1529 (2000). This paper defends the position that judicial reliance on legislative history violates the constitutional norm against congressional self-delegation. Contrary to that position, Professor Jonathon Siegel argues that, because a statute's legislative history already exists at the time of the statute's passage, a court’s treating legislative history as authoritative is the same as giving effect to a statute that validly incorporates pre-existing materials by reference. To illustrate this point, Professor Siegel introduces, as a thought experiment, a hypothetical Interpretation of Statutes Act. The Act provides that the legislative history of every future statute will be automatically incorporated into the statute by reference, without express adoption. Siegel argues that, because legislatures are permitted to incorporate, by reference, pre-enactment legislative history into statutes, such an Act would be constitutional. Disagreeing with that conclusion, this paper argues that the hypothetical Interpretation of Statutes Act would only formalize an unconstitutional delegation of power. The essay explains that the hypothetical statutory arrangement allows members of Congress to subvert the aims of bicameralism and presentment. In particular, legislators would be able to vote for a statute without taking full responsibility for legislative history that resulted from factional logrolling. The paper concludes that the resulting separation of legislator responsibility from legislative result (viz. the statutory text) enables Congress to enact binding statutory details through a process other than the one prescribed by the Constitution. John F. Manning, The Nondelegation Doctrine as a Canon of Avoidance, 2000 Sup. Ct. Rev. 223 (2001). This article examines the Court’s practice of enforcing the nondelegation doctrine through the canon of constitutional avoidance rather than through Marbury-style judicial review. Traditionally, the Court has said that Congress may not delegate its Article I authority to administrative agencies. Nonetheless, under the prevailing “intelligible principle” test, the Court has almost never invalidated an Act of Congress on the ground that it delegates excessive discretion to an agency. Instead, the Court developed a practice of construing statutes to avoid what the Court regards as a grant of discretion broad enough to raise a serious nondelegation concern. Using the Court’s decision in FDA v. Brown & Williamson Tobacco Corp. as the primary example, this article questions the Court’s strategy of using the canon of constitutional avoidance to enforce the nondelegation doctrine. As many critics of the canon of constitutional avoidance have noted, that canon makes a difference only if it enables the Court to opt for something other than the best or most natural reading of a statute. In Brown & Williamson, which asked whether the FDA had statutory jurisdiction to regulate tobacco, the Court artificially narrowed the broad language of the Federal Food, Drug, and Cosmetic Act, in part, to avoid the inference that Congress had delegated power to regulate the tobacco industry without saying so explicitly. In reaching that conclusion, the Court used a number of specific interpretive techniques that it had, in other recent cases, deemed unreliable bases for identifying statutory meaning. This article argues that even if the Court embraces the canon of constitutional avoidance in other contexts, that approach seems a particularly inapt way to enforce the nondelegation doctrine. The entire point of the nondelegation doctrine is to ensure that Congress is responsible for basic statutory policy decisions. If, in the name of enforcing that doctrine, the Court effectively rewrites the statute, then it is not ensuring that Congress is responsible for the policy articulated in the (rewritten) statute. Indeed, building on work by Jerry Mashaw, this article suggests that using the canon of avoidance rather than judicial review to enforce the nondelegation doctrine may, if anything, be more corrosive of congressional prerogatives. If the Court invalidates a statute in the exercise of judicial review, then Congress must go back to the drawing board and bargain over how to enact its policy validly. If, however, the Court rewrites a statute, then the Court’s preferred policy point may become entrenched if it is closer to the preferences of the House, the Senate, or the President than to any alternative on which all three could agree. John F. Manning, Constitutional Structure and Statutory Formalism, 66 U. Chi. L. Rev. 685 (1999). Cass Sunstein argues that judicial and academic debate about statutory formalism (and its operational arm, textualism) should shift from discussion of first principles to an investigation of the way formalism and antiformalism work in practice. Sunstein, for example, contends that we should compare how well formalism and antiformalism function as market-mimicking default rules, roughly defined as rules that replicate what Congress would have done had it explicitly spoken to a particular interpretive question. Leaving aside the difficult question of how to construct a meaningful empirical test of that counterfactual proposition (formalists think it impossible), one must first ask why that or any other conceivable interpretive value — equity, transparency, coherence, deliberation, lower decision costs, higher decision costs, etc. — should qualify as a proper benchmark for empirical testing. This paper argues that in a limited constitutional democracy, any inquiry into interpretive method must begin with the constitutional structure. That is to say, before testing whether a default rule promotes any particular interpretive value, we must first ascertain whether the Constitution either enjoins or permits the judiciary to recognize such a value as worthy of promotion. It is true, as Sunstein contends, that even state-of-the-art formalists sometimes invite skepticism of such an approach by making overstylized constitutional arguments about the implications of bicameralism and presentment, the requirements of democracy, and the like. Still, the modern formalist's (and, for that matter, antiformalist's) occasional overstatement of the case does not warrant rejection of constitutional analysis in the interpretive debate; if anything, it calls for a more textured inquiry into what the Constitution can or cannot tell us about interpretive method. Such analysis should cast light on the valuable question that Sunstein raised — whether and to what extent empirical analysis might help to assess the competing claims of formalism and antiformalism. John F. Manning, The Independent Counsel Statute: Reading "Good Cause" in Light of Article II, 83 Minn. L. Rev. 1285 (1999). This paper uses the independent counsel statute to examine constitutional limits on legislative power to restrict the President’s ability to remove executive officers. As a federal prosecutor, the independent counsel exercises executive power. In the Ethics in Government Act, Congress provided that the President may remove an independent counsel only “for good cause, physical or mental disability, . . . or any other condition that substantially impairs the performance of such independent counsel’s duties.” 28 U.S.C. § 594(c)(1994). Using a multifactor balancing test, the Court in Morrison v. Olson held that the restriction did not unconstitutionally interfere with the executive power vested in the President by Article II or the President’s Article II duty to “take Care that the laws be faithfully executed.” In sharp contrast, Justice Scalia’s dissent argued that any restriction on the removability of an executive officer contradicts Article II’s Vesting Clause, which assigns all of “[t]he executive Power” to the President. After examining the Decision of 1789—the debate in the First Congress over the removal power—the paper suggests that the permissibility of congressional restrictions on removal raises a serious, hard-to-resolve constitutional question. In its 1789 debate over the President’s power to remove the Secretary of Foreign Affairs, the House split into three roughly equal factions: The first contended that the President has illimitable removal power; the second contended that Congress has discretion to determine an officer’s removability; and the third maintained that the President needed the advice and consent of the Senate to remove officers appointed by and with such advice and consent. After examining the arguments in that thoughtful and extensive debate (which occurred in the shadow of ratification), the paper concludes that the removal question constitutes a classic “difficult constitutional question”—the very sort that the modern canon of avoidance seeks to resolve through statutory construction rather than judicial review. The paper then argues that by reading open-ended “good cause” provisions to allow the President to remove executive officers for insubordination, the Court can avoid difficult constitutional questions about the scope of the President’s power. John F. Manning, Textualism and the Role of the Federalist in Constitutional Adjudication, 66 Geo. Wash. L. Rev. 1337 (1998). John F. Manning, Textualism as a Nondelegation Doctrine, 97 Colum. L. Rev. 673 (1997). In the past decade, self-described textualist judges have questioned the legitimacy of using legislative history as an "authoritative" source of legislative intent. Textualists contend that multi-member legislative bodies possess no collective intent, and that committee reports and sponsors' statements do not, in any case, accurately reflect legislative intent. Furthermore, textualists note, such legislative history does not emerge from the constitutionally mandated process of bicameralism and presentment. This Article critically analyzes the textualist judges' objections to legislative history and rerationalizes textualism as a special application of the nondelegation doctrine. Professor Manning observes that the textualist critique of legislative history is in apparent tension with other methods of interpretation employed by textualist judges. Such judges routinely rely on a variety of extrinsic sources (agency rules, treatises, judicial opinions, etc.) to interpret ambiguous statutes, even though these sources do not reflect genuine congressional intent and are not subject to bicameralism and presentment. The Article seeks to resolve this apparent anomaly by arguing that interpretive reliance on legislative history creates an opportunity for legislative self-delegation, contrary to the clear assumptions of the constitutional structure. Given existing norms of interpretation, the creation of legislative history effectively permits agents of Congress to resolve ambiguities of Congress's own making. This conflation of lawmaking and law declaration functions makes it far too attractive for Congress to bypass bicameralism and presentment, assigning the specification of legislative detail to committees and sponsors. Accordingly, this Article concludes that courts should not impute a committee's or sponsor's declaration of intent to Congress as a whole. John F. Manning, Constitutional Structure and Judicial Deference to Agency Interpretations of Agency Rules, 96 Colum. L. Rev. 612 (1996). Chevron U.S.A. v. Natural Resources Defense Council, Inc. settled the now familiar principle of federal administrative law that a reviewing court must accept an agency's “reasonable” interpretation of a gap or ambiguity in a statute the agency is charged with administering. Less familiar is Bowles v. Seminole Rock & Sand Co., in which the Supreme Court explained that “the ultimate criterion” for judicial construction of an ambiguous regulation “is the administrative interpretation, which becomes of controlling weight unless it is plainly erroneous or inconsistent with the regulation.” Under that principle, a reviewing court must accept a “plausible construction of the . . . regulation,” even if it is not “the best or most natural one by grammatical or other standards.” The Chevron and Seminole Rock principles are superficially similar, but they presents vastly different structure incentives in the administrative state. Chevron affords an administrative agency deference to its interpretation of a statute enacted by Congress; hence, ambiguity in such a statute gives discretion to to Congress’s constitutional rival, the Executive Branch. In contrast, if Seminole Rock tells us that an agency's rules mean whatever it says they mean (unless the reading is plainly erroneous), the agency effectively secures the power of self-interpretation. This authority permits an agency to fill in regulatory gaps or ambiguities of its own making and relieves the agency of the cost of imprecision that it has produced. This state of affairs makes it that much less likely that an agency will give clear notice of its policies either to those who participate in the rulemaking process prescribed by the Administrative Procedure Act (APA) or to the regulated public. Seminole Rock deference also contradicts a major premise of our constitutional scheme and of contemporary separation of powers case law — that a fusion of lawmaking and law-exposition is especially dangerous to our liberties. From that starting point, this Article argues that the Court should replace Seminole Rock with a standard that imposes an independent judicial check on the agency's determination of regulatory meaning. In particular, it argues that courts should evaluate agency interpretations of regulations under the standard of judicial review prescribed by Skidmore v. Swift & Co. Under Skidmore, a court gives an agency interpretation the weight it deserves in light of the “thoroughness evident in the [agency's] consideration, the validity of its reasoning, its consistency with earlier and later pronouncements, and all those factors which give it the power to persuade, if lacking power to control.” That approach would restore an independent judicial check on the agency's interpretation of its own regulations while also recognizing that agency experience and expertise may be valuable in the interpretive process and that courts should be open to persuasion when an agency advances a well-reasoned interpretation of its rules. John F. Manning, Not Proved: Some Lingering Questions about Legislative Succession to the Presidency, 48 Stan. L. Rev. 141 (1995). This paper examines textual and structural arguments made by Professors Akhil Amar and Vikram Amar against placing the Speaker of the House and the President pro tempore of the Senate in the line of succession to the Presidency, as the Presidential Succession Act of 1947 does. The paper argues that neither the text nor the history of Article II’s Succession Clause speaks decisively to the question of whom Congress may, by statute, place in the line of succession to the Presidency. For that reason, the assignment of the burden of persuasion on the question of constitutionality necessarily plays a large role in the analysis. Certainly, the text and structure of the Constitution justify “substantial” doubts about the validity of the Presidential Succession Act. But if Congress' implementation of the Succession Clause warrants the presumption of constitutionality traditionally enjoyed by Acts of Congress, then there is good reason to hesitate before declaring unconstitutional Congress' longstanding (but not unbroken) practice of placing legislative “Officers” in the line of succession.